Efforts to assist the tens of millions who’ve been forced from their homes are being increasingly constrained by severely limited funds, a new report from the United Nations refugee agency (UNHCR) has warned, urging greater international attention and support. Funds available to help refugees and migrants are steadily falling, said the agency on Tuesday, while the number of those displaced has been rising by the year. “Based on contributions to date we expect funding for 2018 to meet just 55 per cent of the $8.2 billion that is needed,” Babar Baloch, a UNHCR spokesperson, told reporters in Geneva on Tuesday, noting that in 2017 and 2016, the figures stood at 56.6 and 58 per cent, respectively. Globally, malnutrition rates among refugees are rising and health facilities are increasingly overcrowded, with children missing out on education. In addition, there are growing protection risks because of shortages of personnel to deal with unaccompanied children or victims or sexual violence, added the UNHCR spokesperson. In a new report on underfunded situations, UNHCR notes that six countries facing refugee and displacement crises - Burundi, Democratic Republic of the Congo, Afghanistan, South Sudan, Syria and Somalia - are particularly badly hit. In the case of Burundi – the lowest funded globally – only 28 per cent of the $206 million needed has been received, which is having an acute impact on the hundreds of thousands of refugees in need. 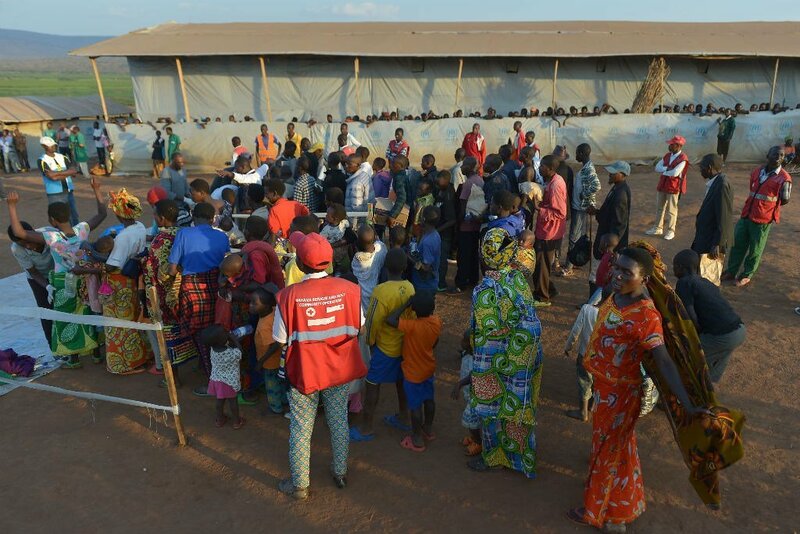 In conflict-affected DRC, and countries hosting Congolese refugees, limited funding has hit humanitarians’ ability to help them support themselves, especially young people, and gain access to education and health. There, only 31 per cent of the $369 million needed has been received. Similarly, Afghanistan, South Sudan and Somalia are also reeling under the effects of the severe funding crunch, having received only 32 per cent, 33 per cent and 37 per cent of what’s needed respectively. In Syria – where needs are almost $2 billion to support close to 12 million internally displaced persons and refugees – only 35 per cent is available. An aerial view of Zaíatri refugee camp near Mafraq, Jordan, host to tens of thousands of Syrians displaced by conflict. 7 December 2012. Flexible funding, said the UN agency, will allow it to adapt its programmes to meet the rapidly evolving needs and assist populations most at risk. Such funding will also facilitate continuation of operations from one calendar year into the next, or from one sector to another depending on the requirements. “Ideally, all funds raised should be flexible in their implementation period; meaning, UNHCR should be able to carry funds to the following year,” the report notes. This will help make operations more predictable, and allow cash to be spent when, and where, it is most needed. With more and more children forced to leave their homes, over half of the world’s school-aged refugees are now out of education, the United Nations refugee agency said in a new report released on Wednesday.